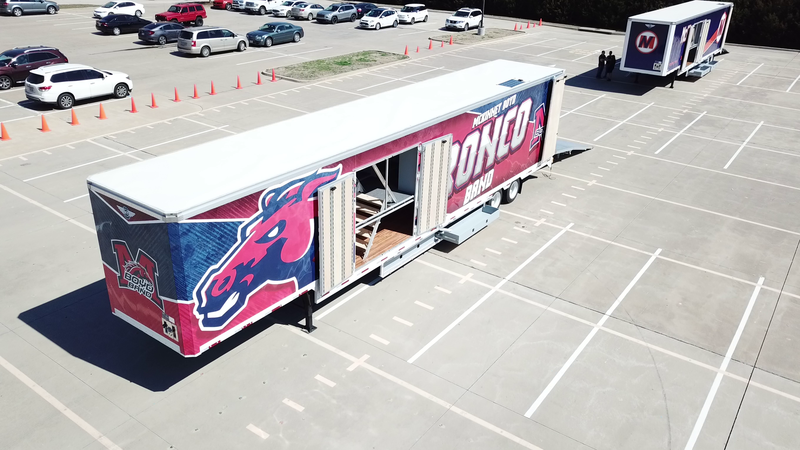 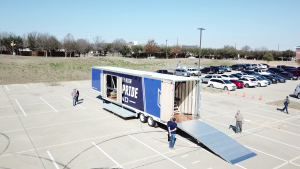 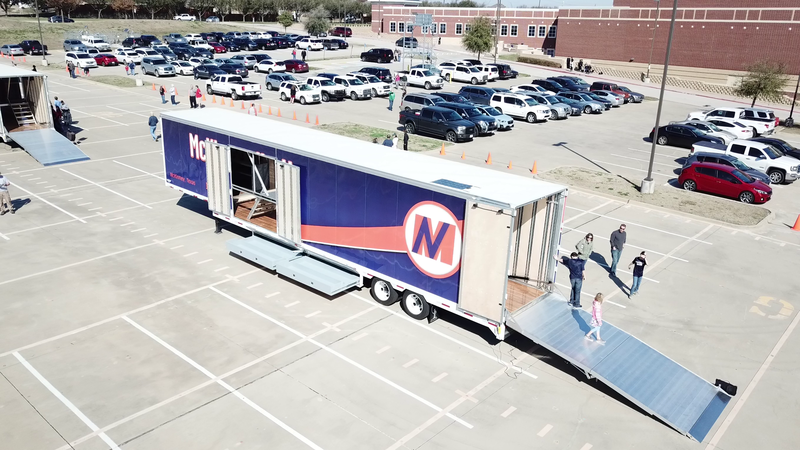 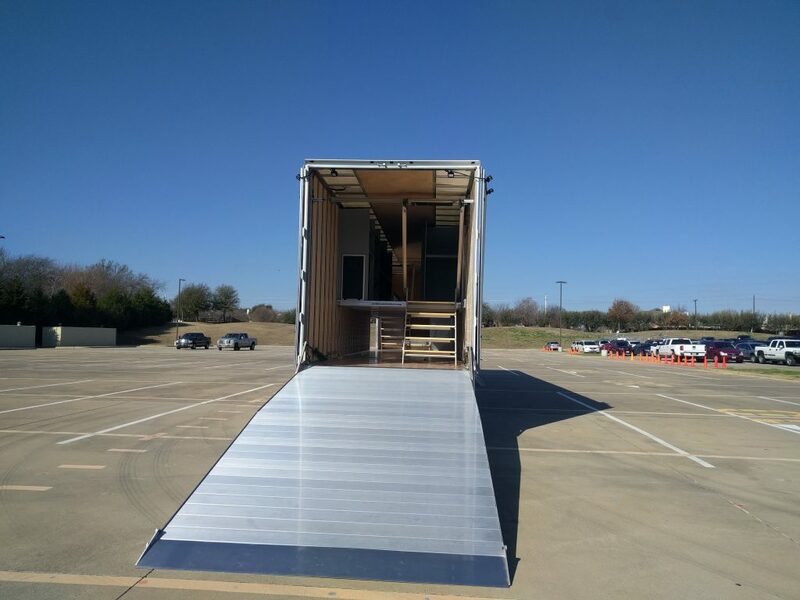 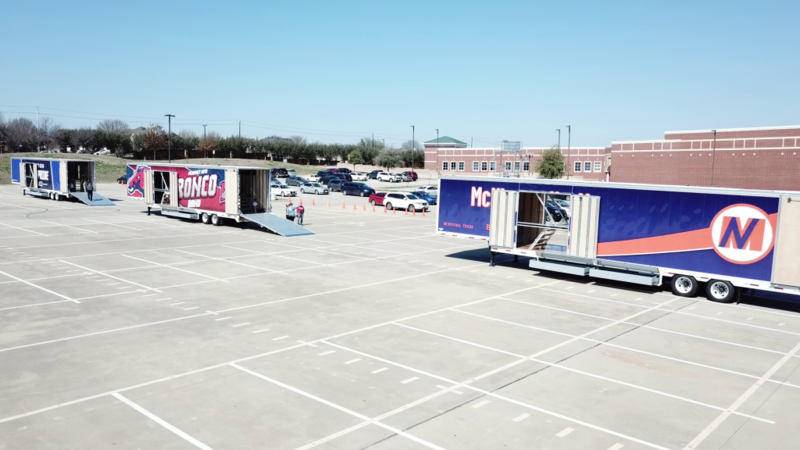 On Saturday, March 3, 2018 Clubhouse Trailers had the opportunity to celebrate the delivery of 3 brand new trailers for the McKinney Independent School District. 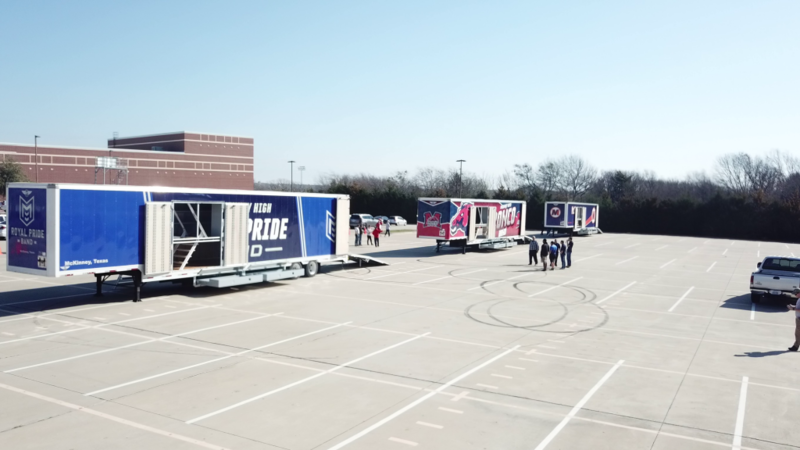 These 2017 Kentucky Trailers arrived to the Clubhouse and were built out identically. 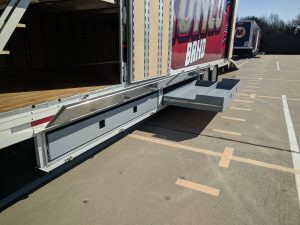 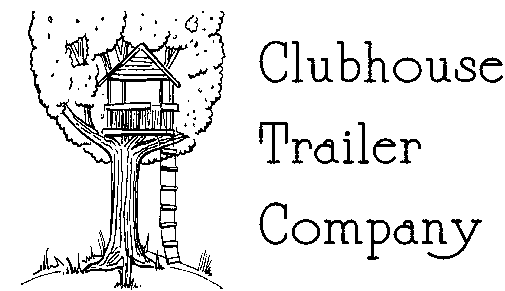 The three trailers were all outfitted with our typical Clubhouse Features, such as carpeted 2nd floor, full LED interior and exterior lighting, full-width hydraulic ramp, custom-built instrument storage, color guard bellybox drawers and an array of retracting staircases. 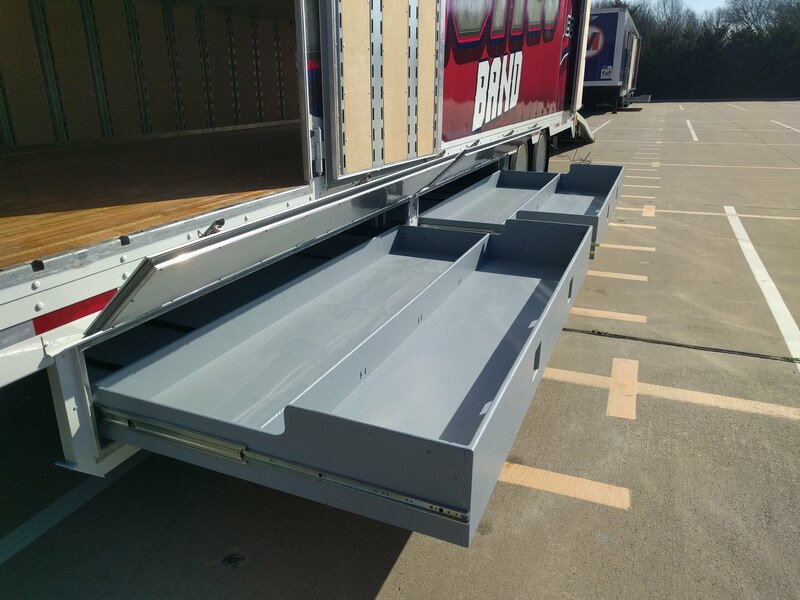 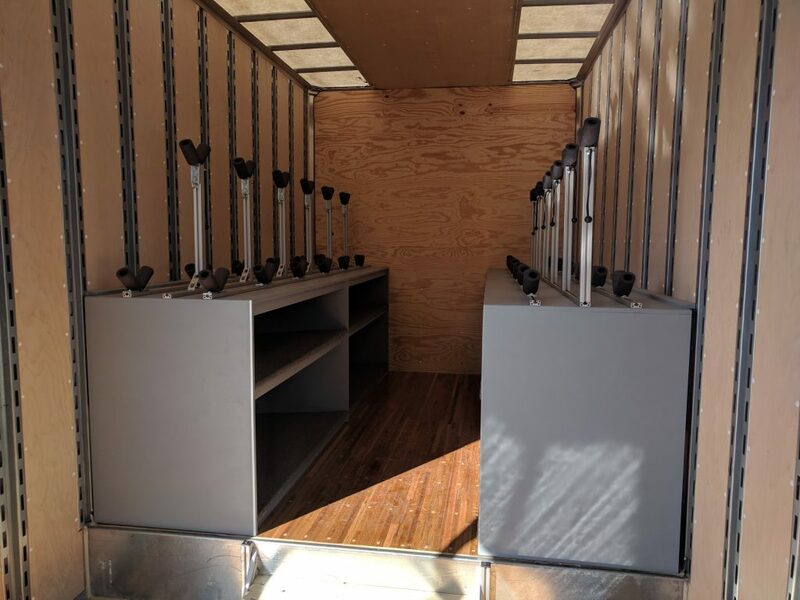 All three trailers are outfitted with two of our 8 foot guard drawers, a great place to store flags, sabres, rifles, or any other long items! 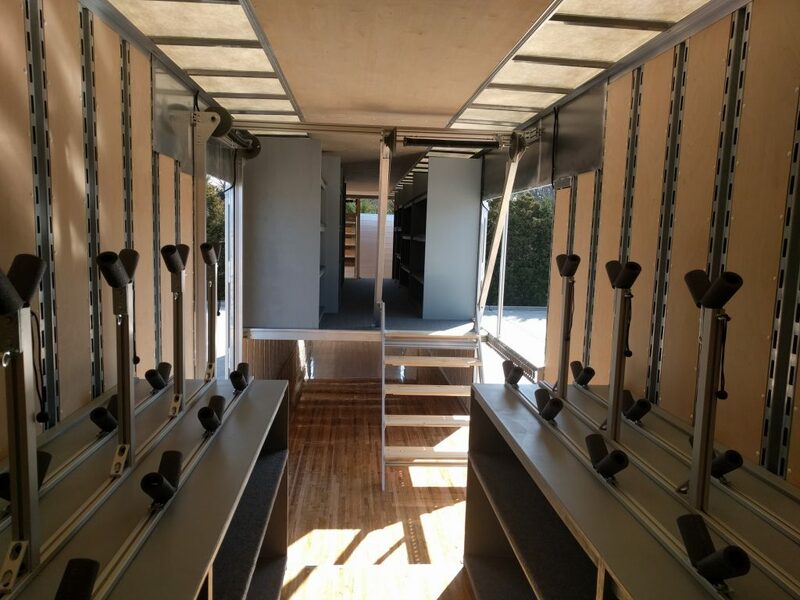 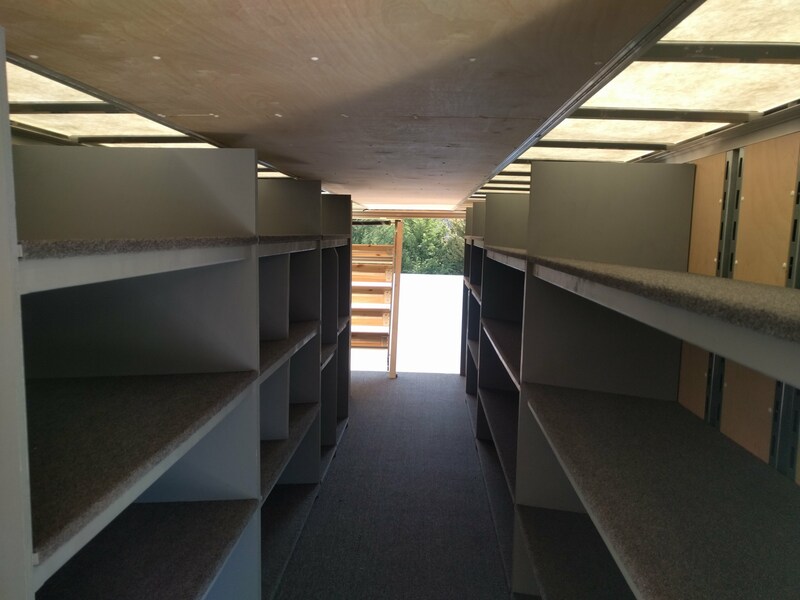 Looking from the nose towards the back of the trailer, the bottom floor is for rolling pit equipment, and walking up the retracting staircase leads to more custom instrument storage. The carpeted instrument storage layout was designed by a MISD band dad, and built out by Clubhouse Trailers. The electrical cabinet houses the power distribution panel for all the lighting throughout the trailer, as well as a solar charge controller for the roof-mounted solar panel. 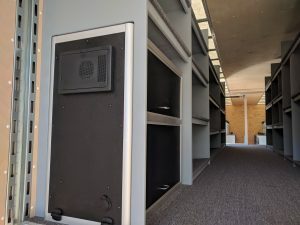 The Hydraulic power unit is also enclosed in the cabinet. 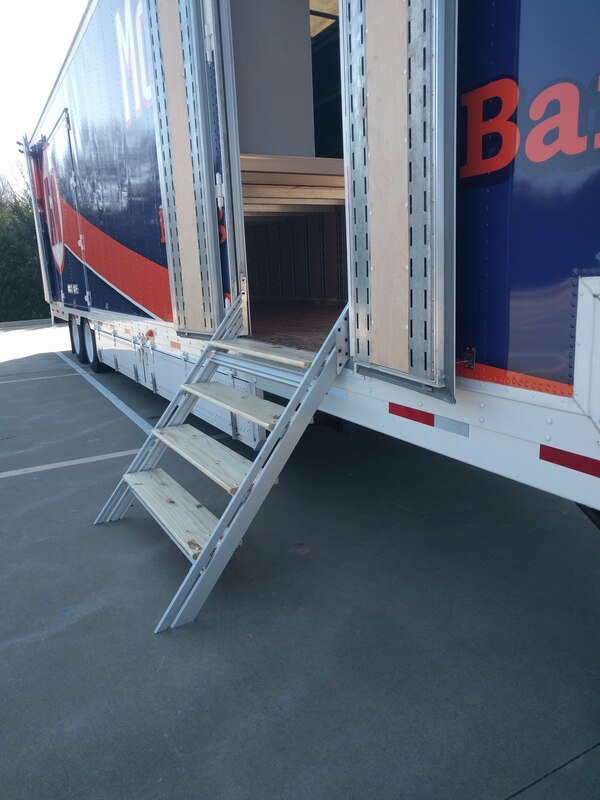 Our Side Entry staircase are an easy to use, space-saving design, as they retract into the doorway for transit.